Winning Streak is specifically formulated for use on grass athletic playing fields for sports such as football, soccer, field hockey, lacrosse, etc. This paint is supplied in a liquid paste ready for dilution with water. The Ultra White is formulated with "Optical Brighteners". Synthetic Turf paint, specifically formulated for use on synthetic athletic playing fields for sports such as football, soccer, field hockey, lacrosse, etc. Supplied ready to use, no dilution required. Half Time is specifically formulated for use on grass athletic playing fields for sports such as football, soccer, field hockey, lacrosse, etc. Half time is supplied ready to use, no dilution required. Easy to use for vibrant and complex logos. Safe on natural and synthetic grass. Durable, easy to set up, no clean up required. 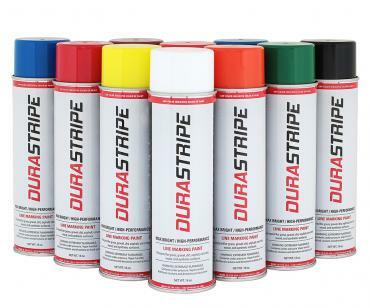 Works with most striping machines.